Ever since I moved to Italy – and undeniably before that too – I have developed a growing fascination with Southern European culture. My curiosity and passion probably stems from all the amazing food I’ve been eating, or simply just the way I spend hours walking around and people-watch in each place I visit. The vibe of this area is truly intoxicating. Another biggie on my list was Barcelona, which I visited for the first time about five years ago and loved every second of it. But my memories of that trip were beginning to fade, so I decided to revisit the city on a whim for the sake of a new adventure. 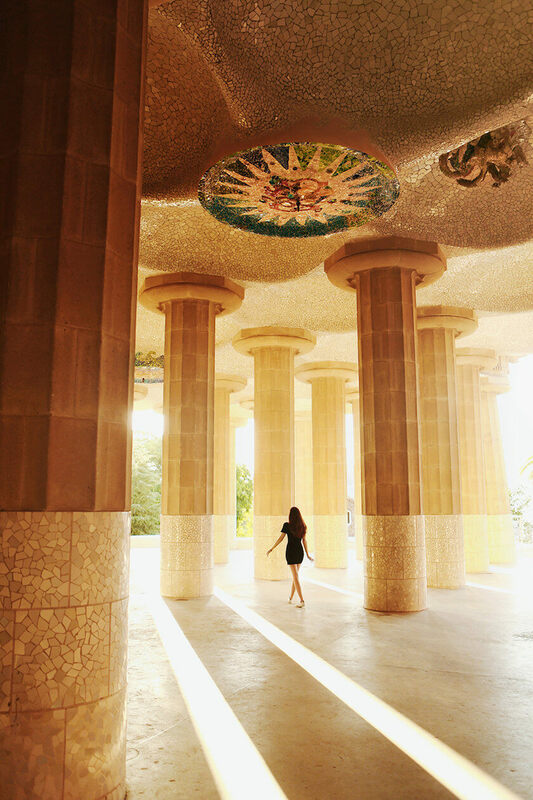 After a missed connection and hours of waiting, I finally arrived for a short but sweet getaway – I had 48h in Barcelona and wanted to make the most of it..
Barcelona is certainly not an overlooked city when it comes to hotspots in Europe, but many backpackers and jet-setters are often short on time. All they might have is a weekend to spare to get a taste of Catalan culture. 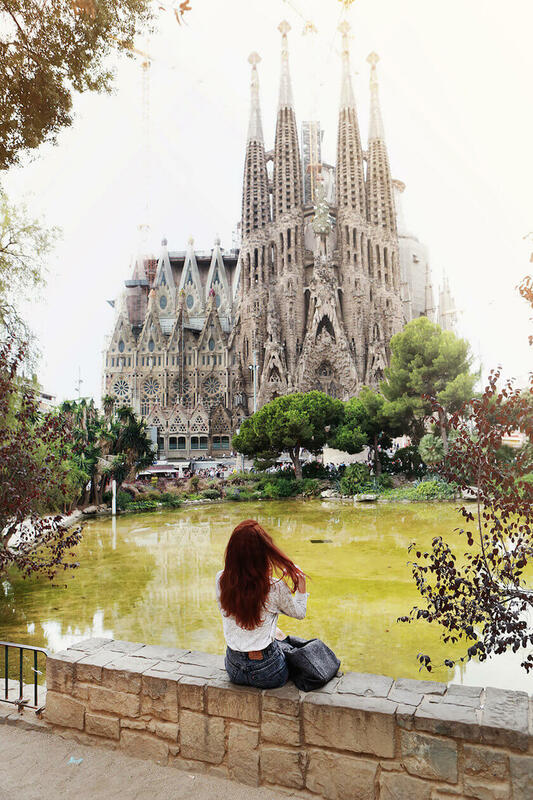 For them I’d like to share my personally curated step-by-step guide for an easy but memorable weekend getaway in the city of Gaudí. Be the first person there and take in that opportunity of having this special place all to yourself. Make sure to explore every single part of it. 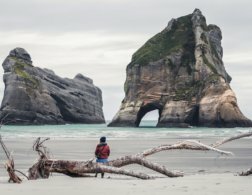 In the morning hours you’ll get the most beautiful light, and more importantly, tourist-free pictures. Note that tickets are only sold online. 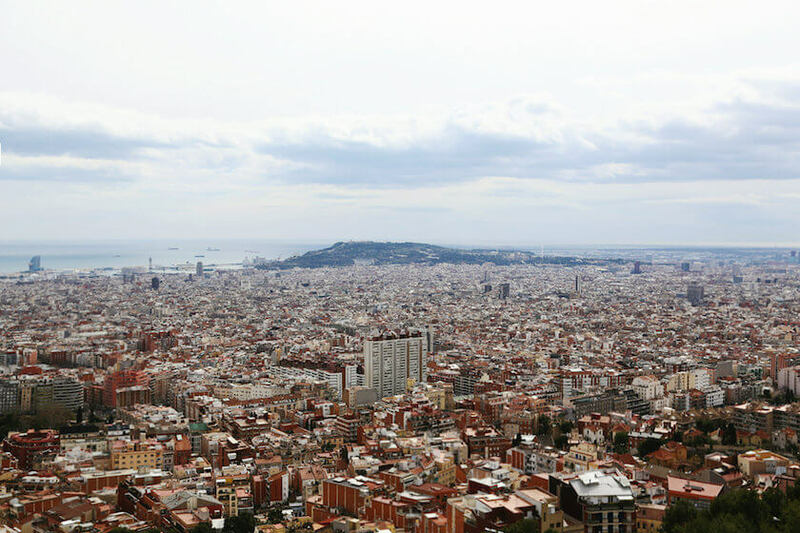 From Park Güell take the metro to Liceu, stroll down La Rambla and head towards Chök (Carrer de les Ramelleres, 28). It’s a delicious and gorgeous bakery with sweets that resemble a work of art – food art that is. Take a break and enjoy your sweet breakfast. Head to the Museum of Contemporary Art (Plaça dels Àngels, 1). It’s just a short and pleasant walk away, and admission is $15. The museum is a great place to find out what the city’s art scene is really all about. 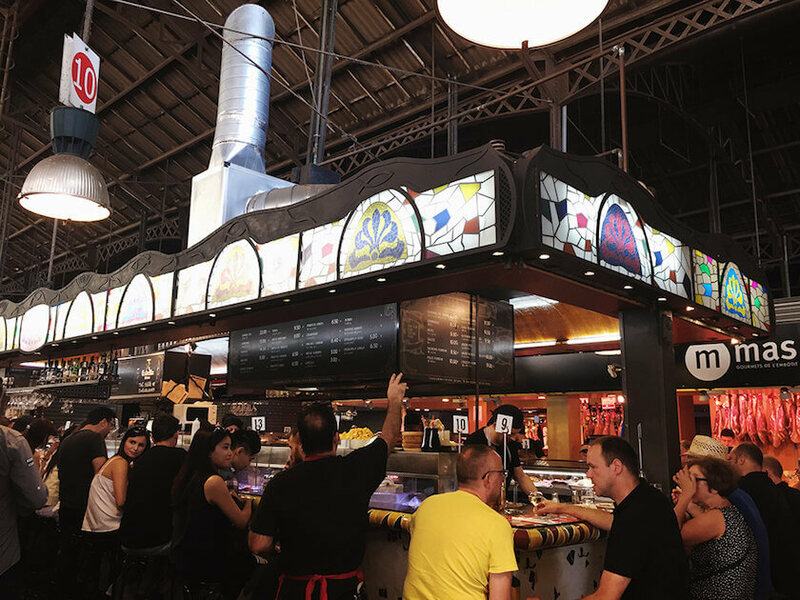 Head to La Boqueria – Barcelona’s most vibrant and bustling market – and try your best to grab a seat at Bar Boqueria. The stall is towards the back-right corner of the market and the experience itself is worth every penny. You’ll watch the staff cook the freshest seafood in front of you in the middle of a lively and energetic food market in the center of the city. If it’s too difficult to find a seat, Bar Central is another great option. Explore the market and sample something you’ve never tried before! Like fresh dragonfruit or juice straight from a coconut. There are a ton of quaint boutiques and design shops along the small, picturesque streets of Barri Gòtic and El Born. Some of my favourite shops include La Nostra Ciutat and Co…. Both are local Barcelona design stores where you can purchase anything from jewelry to stationery, house goods and tote bags from local artists. There is nothing better than watching the sunset from Barcelona Beach. 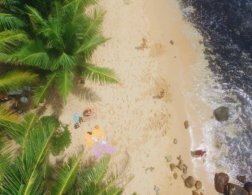 Grab a coffee (or a cocktail) and get some much-needed rest by the sea! For dinner I can only recommend Bodega Biarritz 1881 (Calle Vidre, 8). It is a special, highly rated and delicious tapas experience. The space is often extremely crowded, so it’s a good idea to make a reservation before you go. For an indulging breakfast try Hammock Juice Station, one of the most interesting juice experiences you’ll ever have. Order a fresh pressed juice or avocado toast and lie back on one of their colorful hammocks for a while. 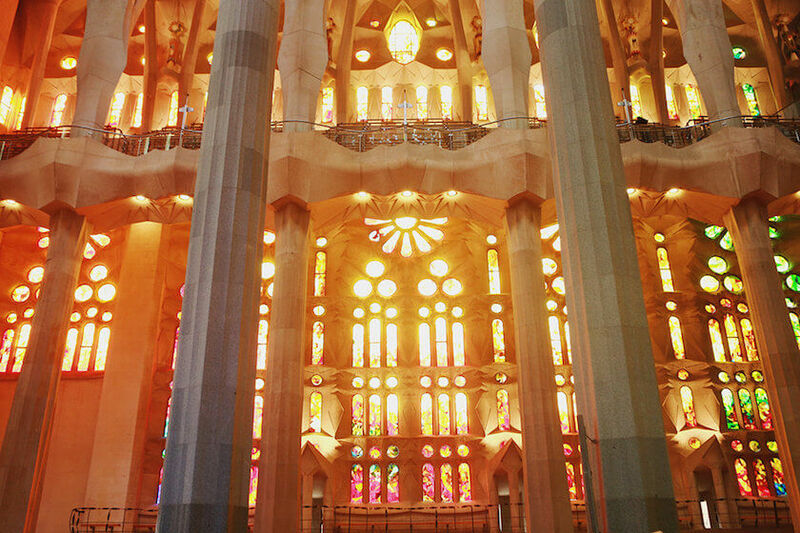 Gaudi’s ‘centre piece’ for Barcelona, La Sagrada Familia, lies just a short walk away, about 10 minutes. Make sure to go inside and marvel at everything. 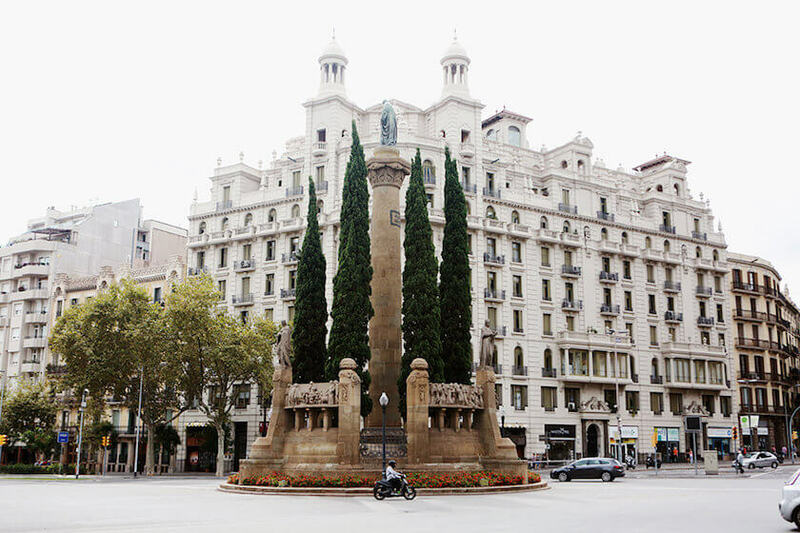 Take the metro to Plaça d’Espanya, an important square and piece of Barcelona history. It was built on the occasion of the 1929 International Exhibition and is a beautiful place for photos. From Plaça d’Espanya, it’s a short walk to the Joan Miró Foundation (Parc de Montjuïc), if surrealist art if your cup of tea. As the name suggests, it is a modern art museum dedicated to the work and life of Miró. 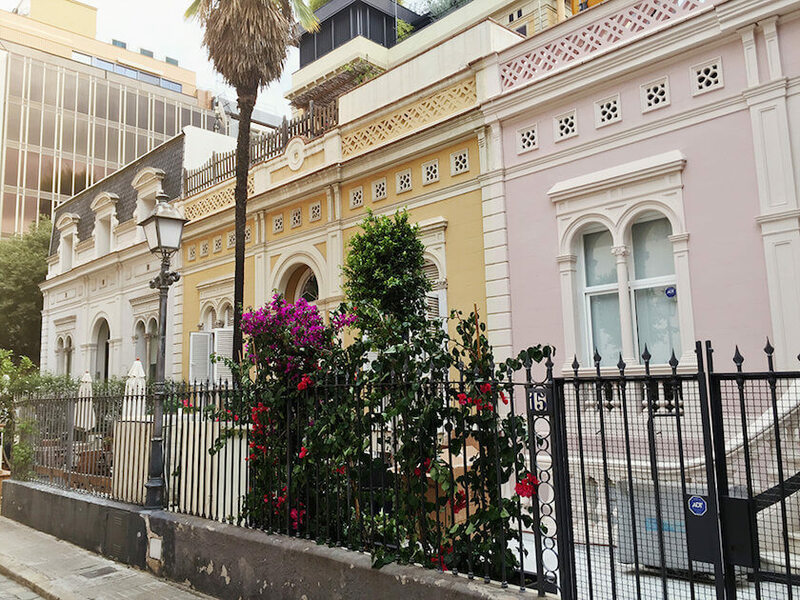 Walk through the neighborhood of Sant Antoni to Veggie Garden (vegetarian) or Restaurante En Ville (gluten free) for lunch. Both are delicious and provide a charming atmosphere. Relax in Jardins de Rubió i Lluch, located within the Institute of Catalan Studies. It’s a quiet place where locals and students hang out, study, draw and grab a drink. The building used to be an old hospital. The walls that surround this small square are approximately 800 years old. End your day with sunset at Bunkers del Carmel viewpoint. The views are truly the best in the city. Head back to Plaça de Catalunya and La Rambla for a vibrant night of dinner and drinks. 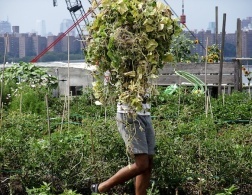 There is truly no need to ever hop in a taxi or rent a bike. I danced my way through the streets, moving with the pace of the city. As energetic as Barcelona seems, life moves in slow motion. Nobody rushes, mid-day siestas are beloved, dinner is always after 9pm and you never show up to a bar before 1am. To sum up the feeling of this city in words; it’s thrilling and inspiring. And more interestingly – it has made me question, on multiple occasions, why I have never thought about moving there. This is a guest post by Haylee Barsky. Haylee is a fashion photographer and digital designer always moving between Rome, Italy and New York City. 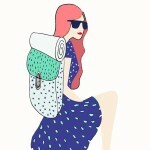 She has managed to make traveling as part of her full time job through curating her online shop Le Monde Collective, which collaborates with local designers and sells artisanal, one-of-a-kind jewelry she discovers in cities around the world. I love the evening jazz concerts on the rooftop of Casa Mila (aka la Pedrera). Cava and music among the Darth Vader-like chimneys of the Gaudi-designed building, with views over the city as the sun sets. Perfection. I love this! She's right about having to get places early...tourists are everywhere! All really good recommendations, I'll have to try those restaurants next time I'm there! Definitely get to places early like Park Guell, much better with a littleless tourists! La Sagrada Familia is amazing as well! I am from Barcelona and I've found this article great... :) Carmel Bunker has really good views! But with only 48h in the city I would suggest to spend most of the time outdoors, unless you are really passionate about museums. Museums in Barcelona are great, do not misinterpret me, but Barcelona is a museum per se! Let's walk around El Gotic, La Ribera (el Born), El Raval & La Barceloneta without any fixed goal. They are close to each other but totally different! Just breath and walk and look around. Head towards "La Plaça del Rei" (not Plaça Reial, they are different ones), la "Plaça de Sant Felip Neri" or la "Plaça de Sant Agustí Vell" with the closer Cloister of Sant Agustí (with a cafe inside). Visit the church of Santa Maria del Mar in el Born, one of the most beautiful churches in Barcelona. Eat in Santa Catarina market instead of La Boqueria, as this last is the famous one, but the first one has more local life. Or in La Paradeta for fresh fish, behind the Born Centre Cultural. Visit the Picasso Museum, but only to see the beautiful building. Go also to the Museum of Contemporary Art, but just to see the contrast between the modern building and the rest of the neighbourhood... and its skaters doing pirouettes outside! And keep walking till you get lost!!! And no, do not go to Las Rambla. That is not Barcelona anymore. Barcelona is such a great city for walking, wandering, exploring! 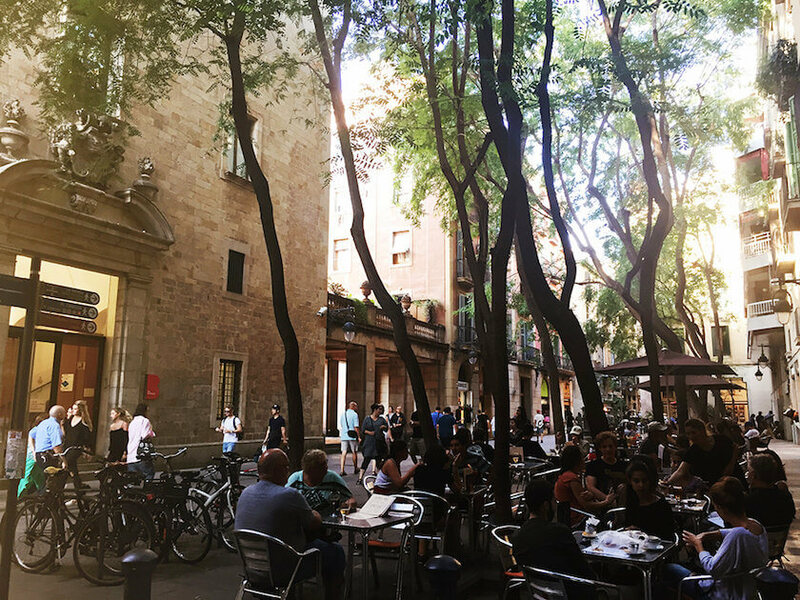 I made a 24hr city guide when I had a serendipitous visit to Barcelona recently...and all I can say is that I need to go back for more! sometimes cut the handles and injure you...etc! (by the way, the dont like to be calles Spanish). Have a nice stay in this great city!! Great post! I loved holidaying in Barcelona last year. 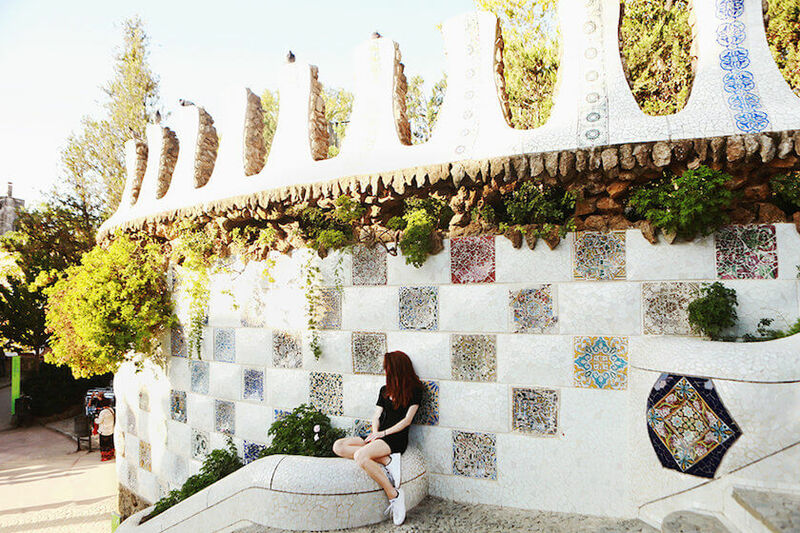 It's a beautiful place and Gaudi's buildings are just breath-taking. I need to go back there in the future for sure. I´ve been in and out from Barcelona for many years. Never found a place that is somehow a million stars close to it. Unique, thrilling and progresive. I cant regret of having moved here!